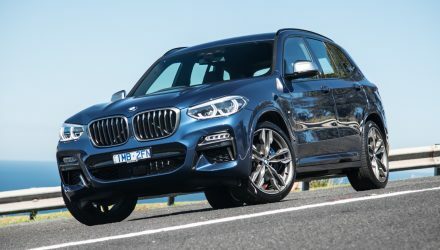 Welcome to BMW’s medium-size coupe SUV. 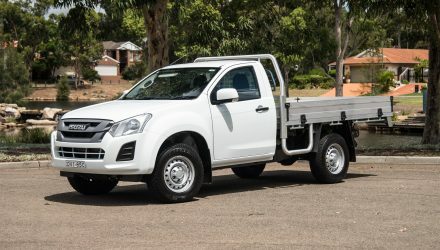 Yes, there is now well and truly such a thing, and there are plenty of buyers looking for this type of cross-recreational vehicle. 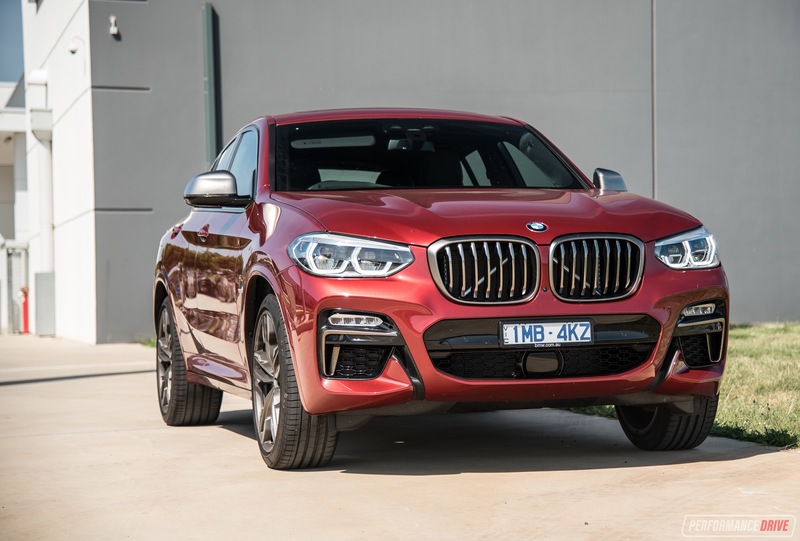 The M40i variant sits at the top-of-the-range (for now, until the X4 M arrives), featuring one of the sweetest inline-six engines in the business. 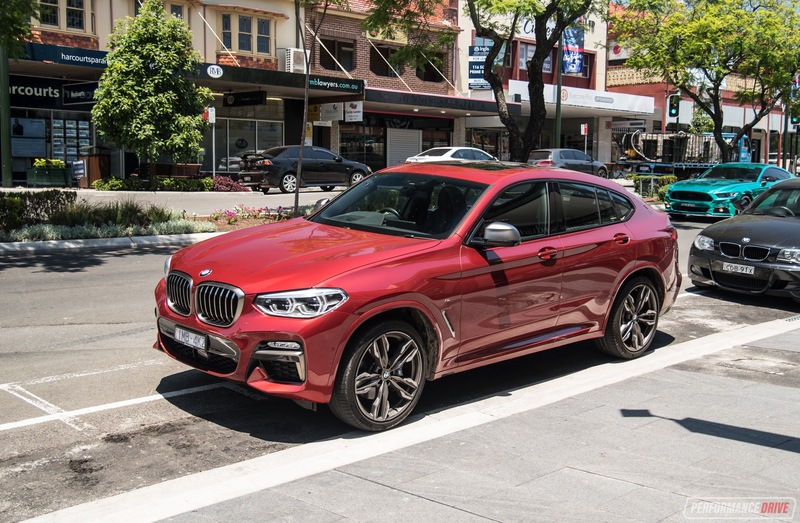 The X4 is the coupe brother to the X3. It shares the same CLAR-based platform, and shares a 2864mm wheelbase. 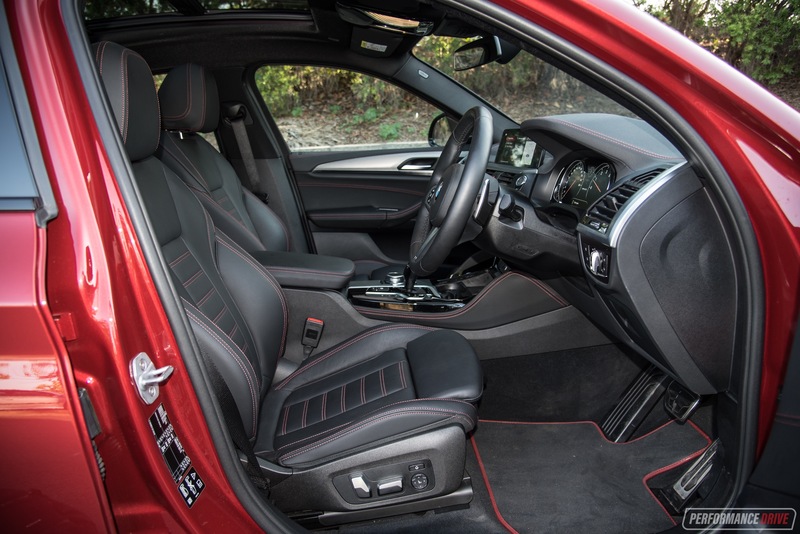 Most of the front half of the interior is also identical, and so is the powertrain in terms of the X3 M40i. 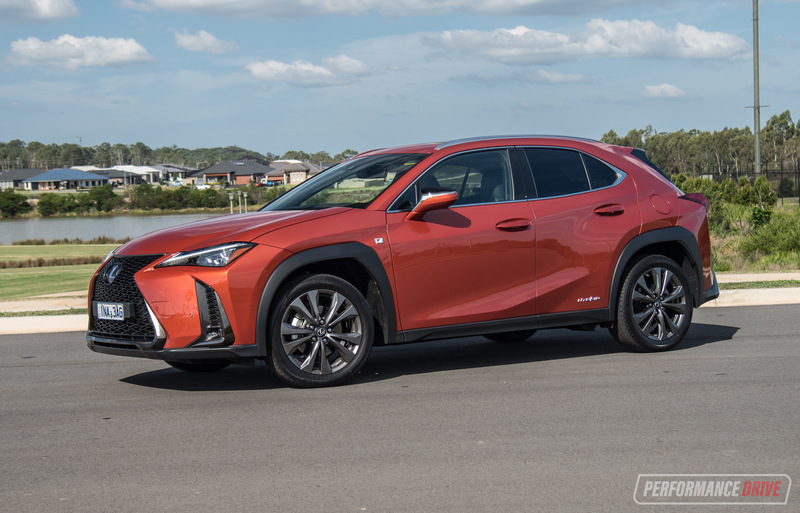 There are a few differences under the skin though, in terms of weight balance, and obviously the design of the rear half of the cabin and body structure. Despite being essentially the same vehicle as the X3 M40i, only with less boot space and a sportier exterior design, prices for the X4 M40i start from $109,900, compared with $99,900 of the X3 M40i (excluding on-roads). We find this quite puzzling. Is it really worth an extra 10 grand? Let’s take a look. 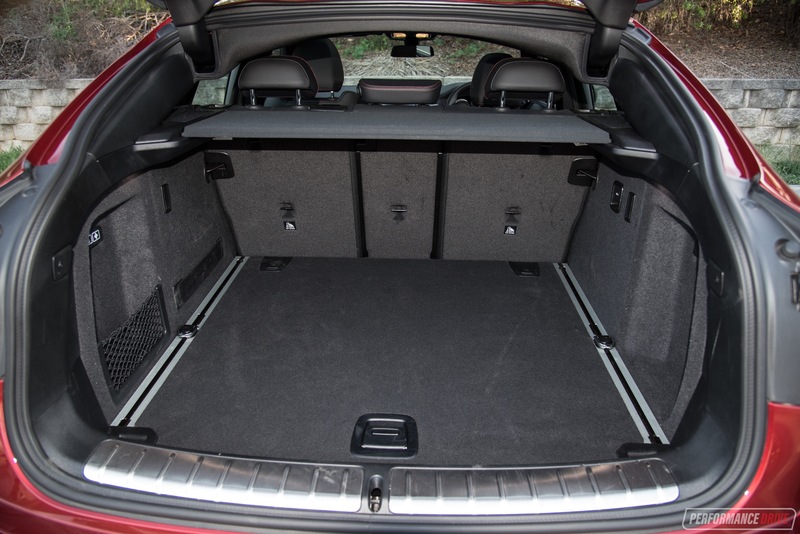 In the X4 you have 525L/1430L of boot space, compared with 550L/1600L in the X3 M40i. However, the rear design of the X4 is much more elegant and stylish than the somewhat boring X3’s typical wagon layout. You also get unique taillights in the X4 that sit flusher with the bodywork, and a slightly exaggerated rear diffuser element down below with deeper fins. 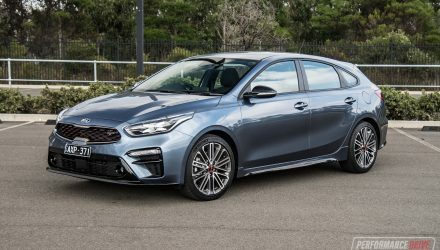 It definitely stands out on the road, and we kind of like the fact that it sticks its finger up at all of the typical wagon SUVs on the road. 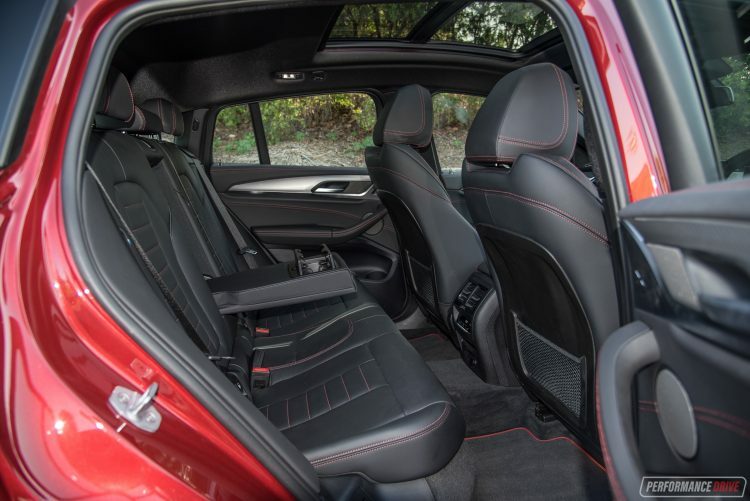 Inside is a blend of high-quality materials and technology, such as Vernasca leather for the M Sport seats, with ‘Sensatec’ vinyl for the instrument panel, and a premium 16-speaker Harman/Kardon sound system fitted as standard. This test vehicle showcases piano black trimming for the dash and centre console, as well as the no-cost option fine-cut aluminium garnishes for the dash in place of the standard fine grain wood. 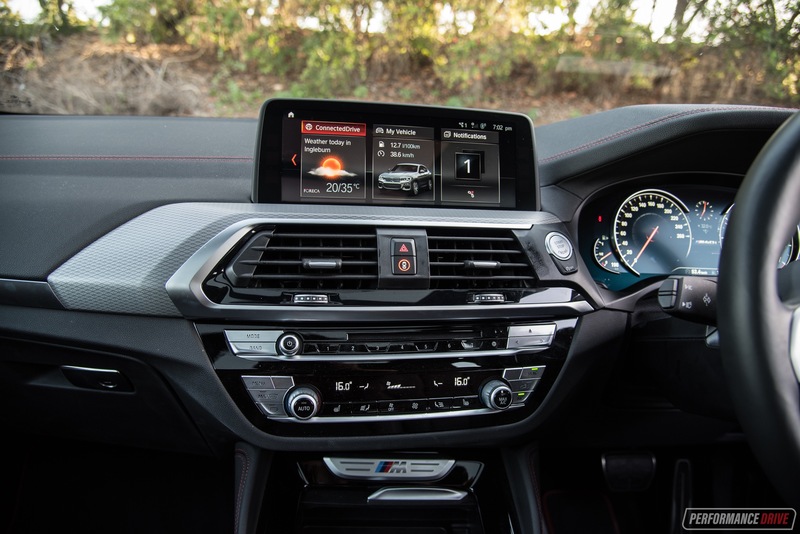 It’s a very pleasant cabin environment, with most of the controls in easy reach and BMW’s excellent iDrive media command system down on the centre console. 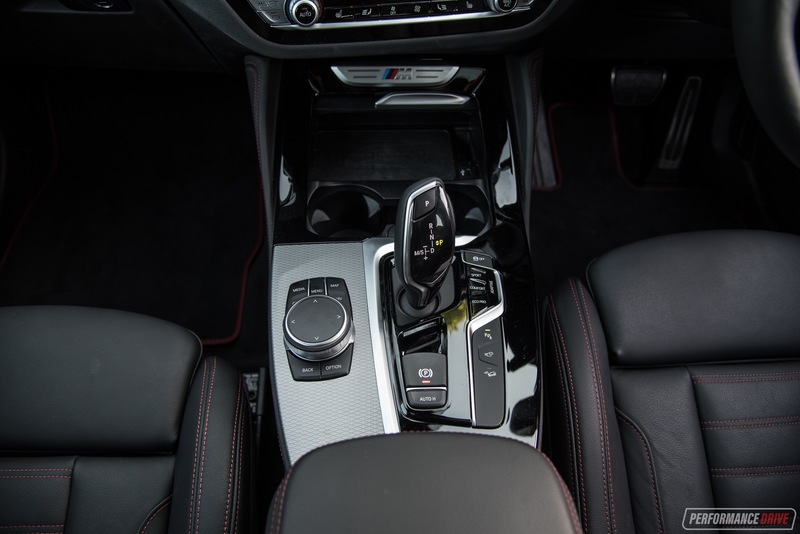 There are plenty of little storage spots and BMW’s typically large door pockets with bottle holder partitions making life easier, along with a wireless phone charging pad conveniently located at the front of the centre console. Going through the iDrive menus reveals more than enough personalisation adjustments, including a handful of exterior views via the built-in cameras, and the usual engine check functions including oil level and real-time power output readouts. 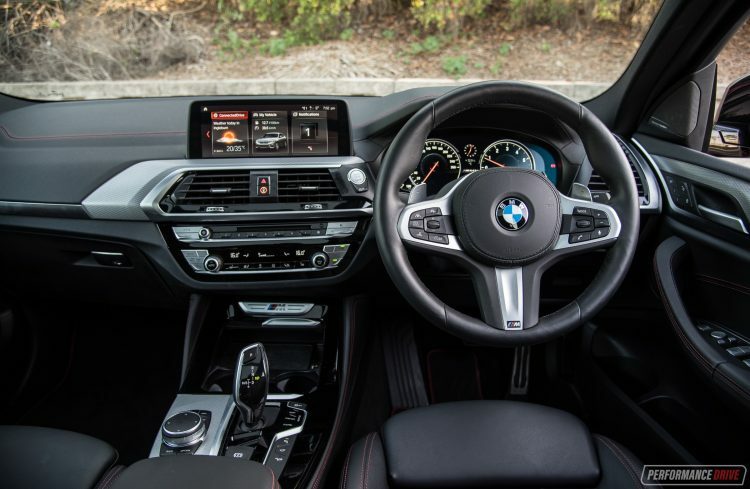 As a former previous-gen (F25) X3 owner and now current-gen (G01) X3 owner, the interior takes a big step up in quality and design over the previous generation. 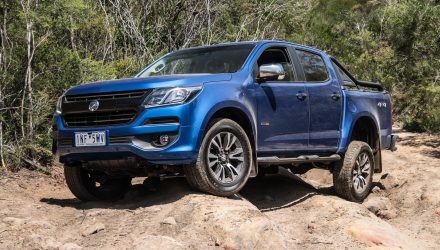 The seating position remains pretty tall, with a practical upright cabin orientation providing that must-have perched-up view that SUV buyers are drawn to. 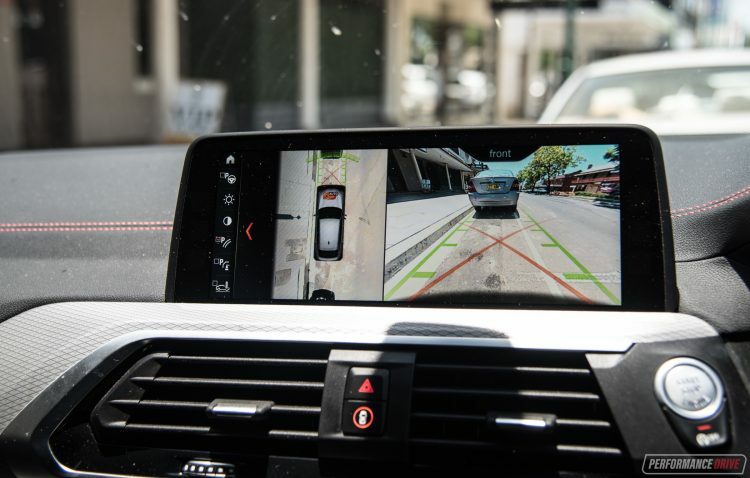 But functionality is also improved dramatically, with more intuitive parking cameras and a clearer yet more comprehensive display of driving info on the now-fully-digital instrument cluster. For some reason the X4 M40i weighs 15kg more than the X3 M40i, despite adopting the same platform and powertrain. Fuel economy on the official combined cycle is also up from 8.9 to 9.3L/100km in comparison, which is just as strange. Out on the road in normal conditions it’s pretty much impossible to feel the difference between the two in terms of driving dynamics and feel. 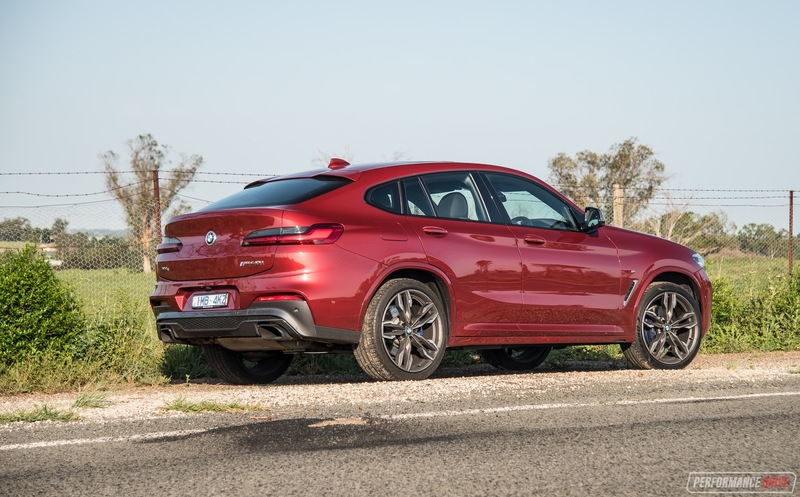 Forward visibility is excellent, but rear visibility is hindered in the X4 due to the thicker D-pillars and the angle at which they swoop down. 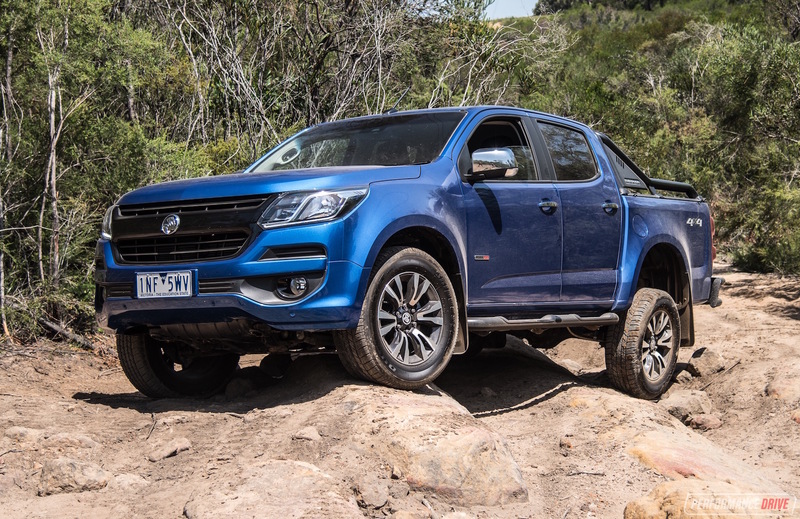 But apart from that, it drives just like a conventional premium SUV. 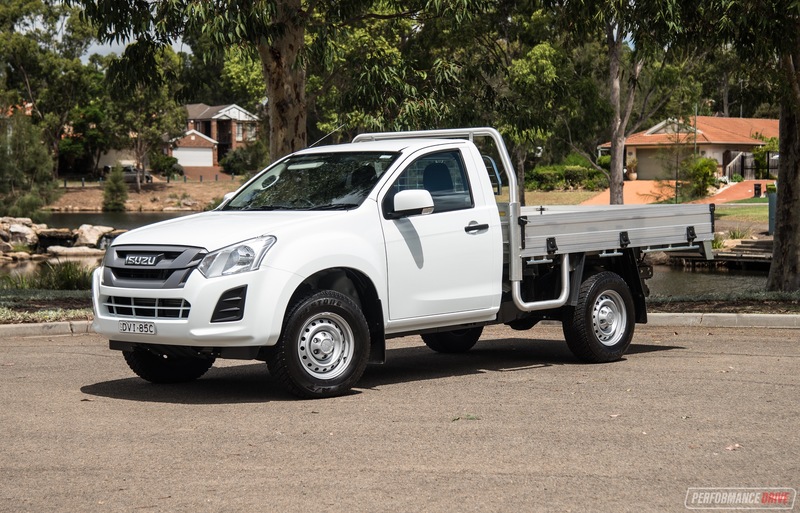 The steering is nicely weighted and the vehicle has a solid and stable stance within lanes. 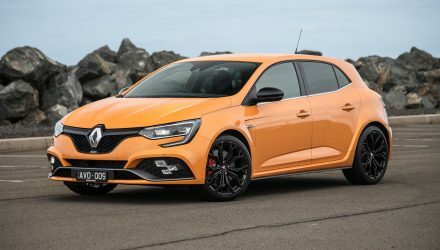 During highway cruising, at speed, it also remains very secure and competent in typical German car fashion, with good noise insulation and low wind and tyre roar. 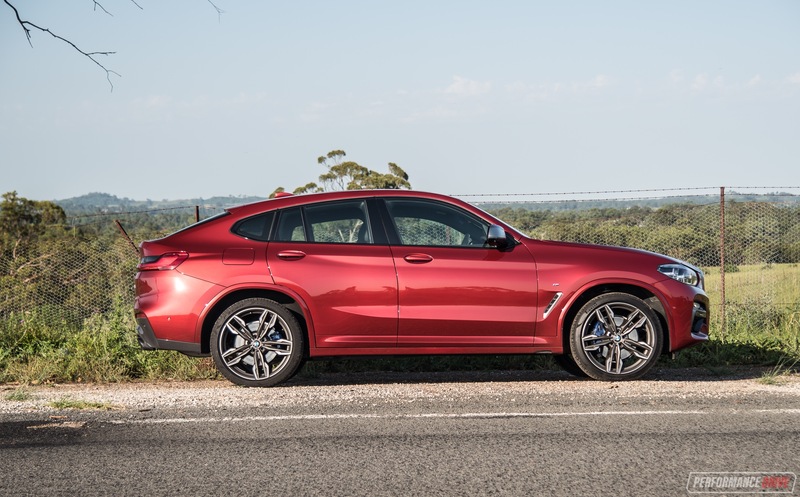 The X4 is 36mm longer overall than the X3, and stands 55mm shorter albeit sharing the same 204mm of ground clearance. This does help to bring down the centre of gravity ever so slightly. 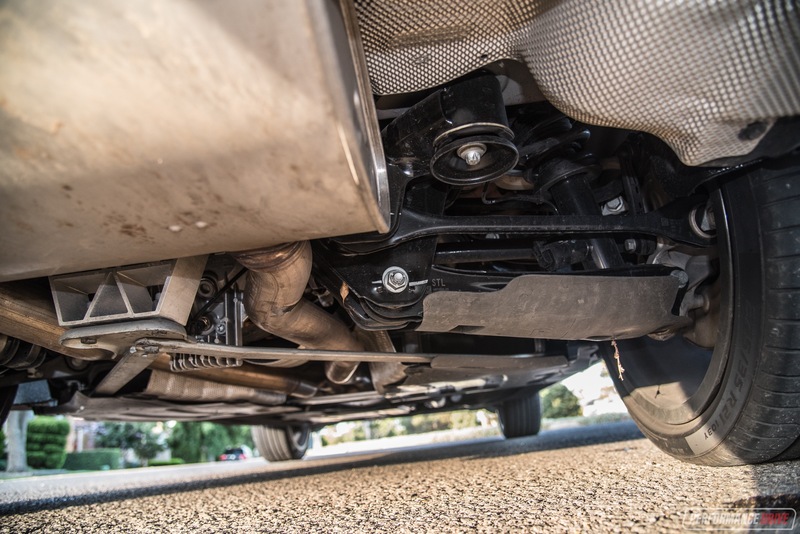 The X4’s suspension is also revised for a more sporty response, which does impact ride comfort. But the end result means the X4 is that tiny bit more enthusiastic in the corners when you really push it. 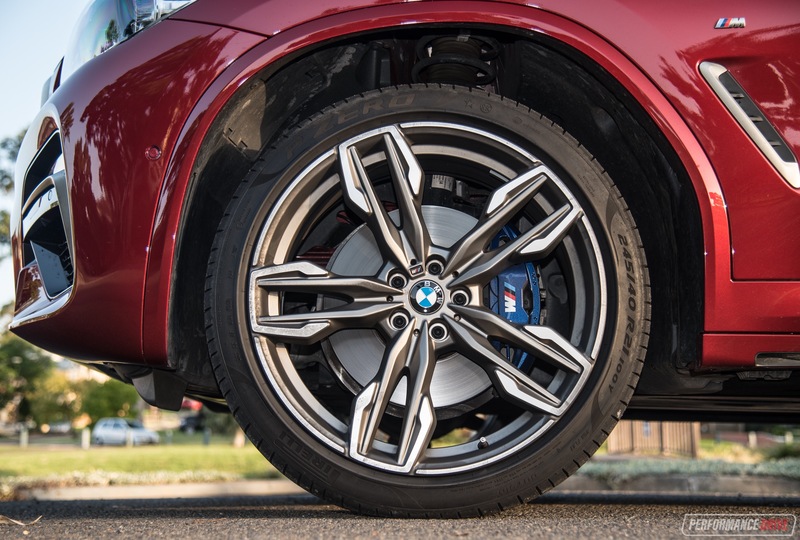 An M Sport differential helps to send more power to the rear axle, in turn helping to provide as-close-to sports car characteristics. Although, it’s obviously not as natural in the bends as an actual coupe. Pushed hard around corners and the CLAR platform works wonders to hide the X4’s 1783kg weight. It feels very agile and responsive in fast switchbacks, with clear and precise communication coming back through the steering wheel. 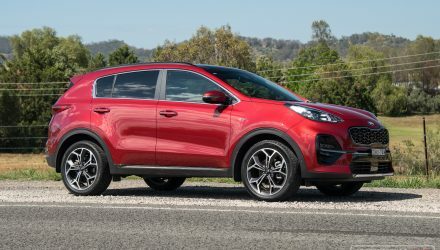 There is a minor tendency to understeer under power alone, typical of most AWD vehicles, but you can throw the weight around a bit and use it to your advantage if you really want to. 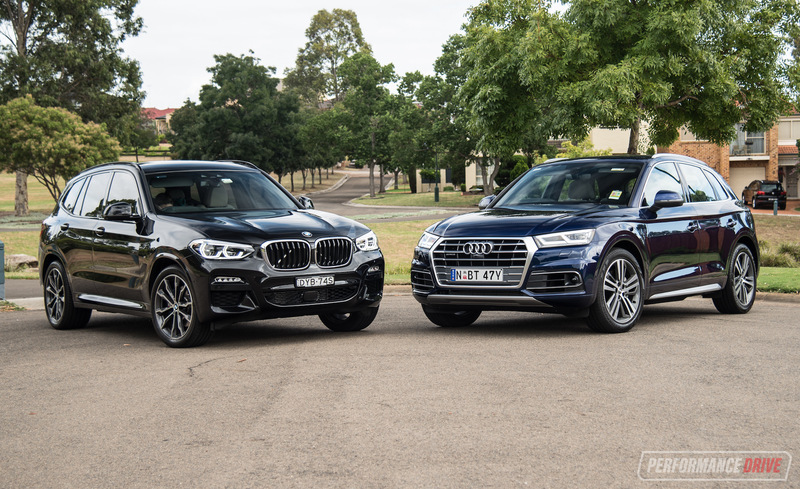 Compared with its nearest rival, the X4 M40i is actually pretty light, with the Mercedes-AMG GLC 43 Coupe tipping the scales at a much heavier 1889kg (both in tare weight). As for the power source? Well, what can we say. This is one of our favourite engines on the market at the moment. 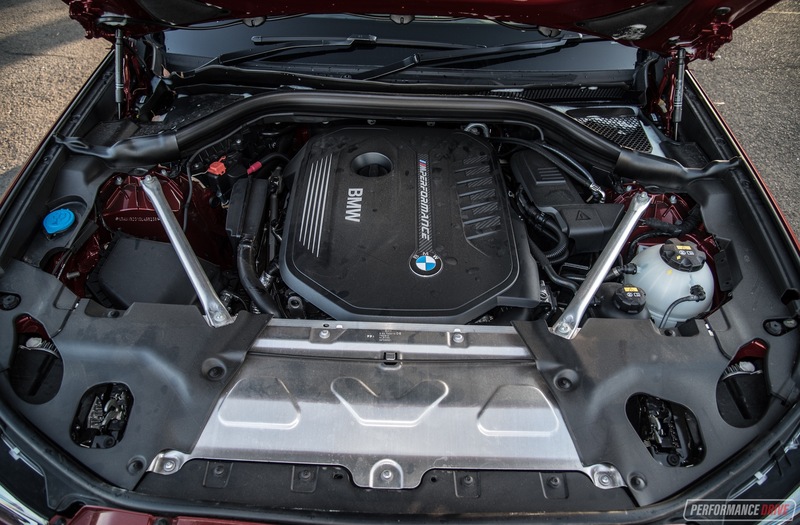 It’s a 3.0-litre single-turbo inline six, codenamed B58, built by BMW and tuned by M Performance (not M division). You know the new Toyota Supra? It uses the same unit, tuned to 250kW. 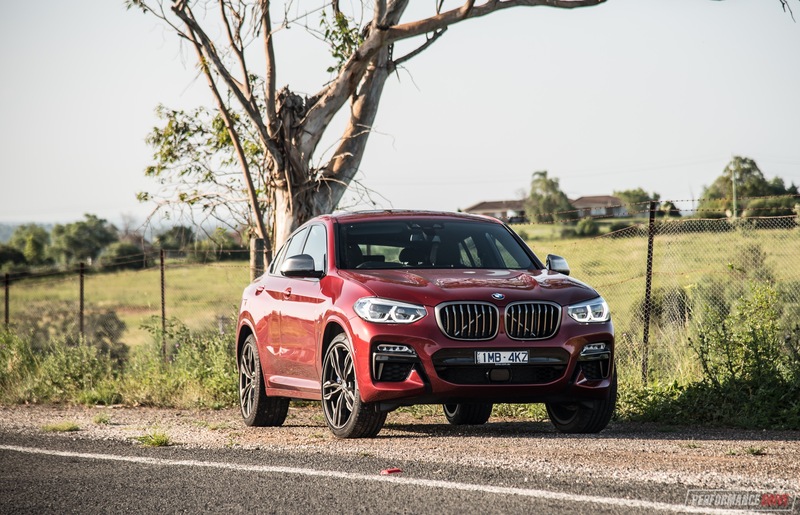 Peak power in the M40i of 265kW is reached at an ear-massaging 6500rpm, while the peak 500Nm of torque is spread between just 1520rpm and 4800rpm. This makes it an extremely versatile engine, providing outstanding low-end response and then superb top-end thrust. 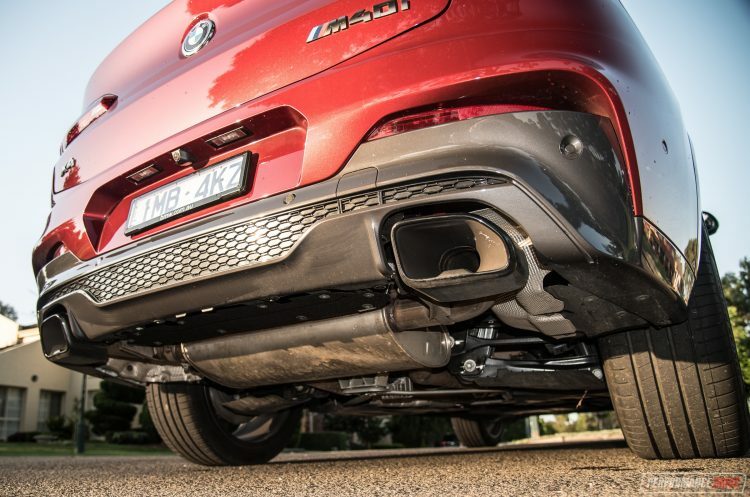 Breathing through an M Performance exhaust system, we think this engine offers one of the most pleasurable notes in this market. In fact, we prefer the sound of this B58 over the M3/M4‘s S55 3.0-litre twin-turbo inline six (likely the engine that will feature in the upcoming X3/X4 M). In comparison, the S55 roars and barks, while the B58 sings and howls. It’s beautiful. You can see what we’re on about in our video below. Is it all sound and no substance, though? Definitely not. This thing really hauls. Flatten the throttle and it’ll propel you relentlessly toward the horizon, with each gear forcing you back harder and harder into your seat. Using our Vbox Sport we timed a best 0-100km/h of just 4.93 seconds, at a temperature of 26 degrees Celsius. BMW claims 4.8 seconds, which we believe is totally possible in cooler conditions. Compared with the main rival, the Mercedes, with its 270kW and 520Nm twin-turbo V6, the BMW is 0.1 seconds quicker in terms of manufacturer’s claims. This is a great example of why lightness is so important. Even though we wouldn’t call the X4 a lightweight vehicle, it is lighter than all rivals. To answer the original question, is it worth the extra 10 grand over the X3 M40i? Not really. 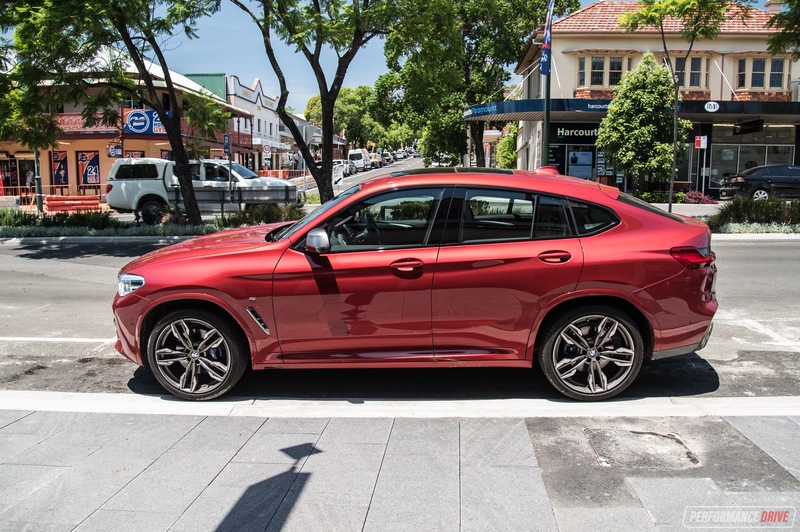 We love the X3 M40i. 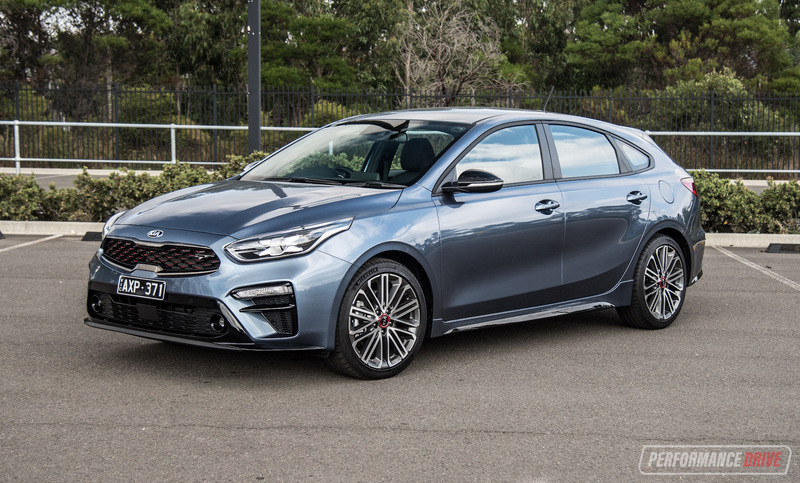 It offers a slightly more comfortable ride and superior practicality, and even has a whiff of sleeper/understated appeal to it. 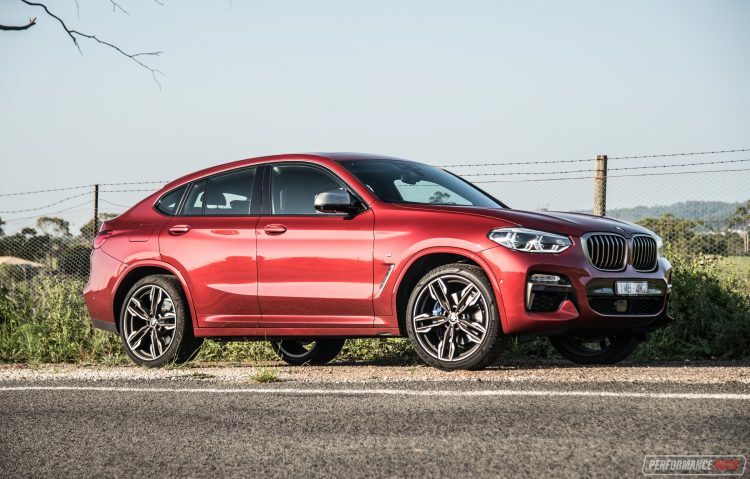 However, if looks are a higher priority, then the X4 M40i is your car. 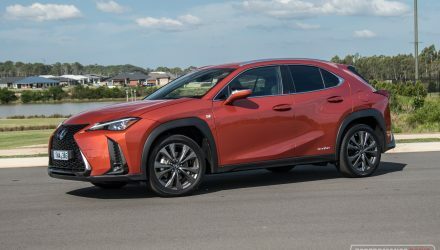 We think it is easily the best proposition in this somewhat unusual coupe-SUV market segment. 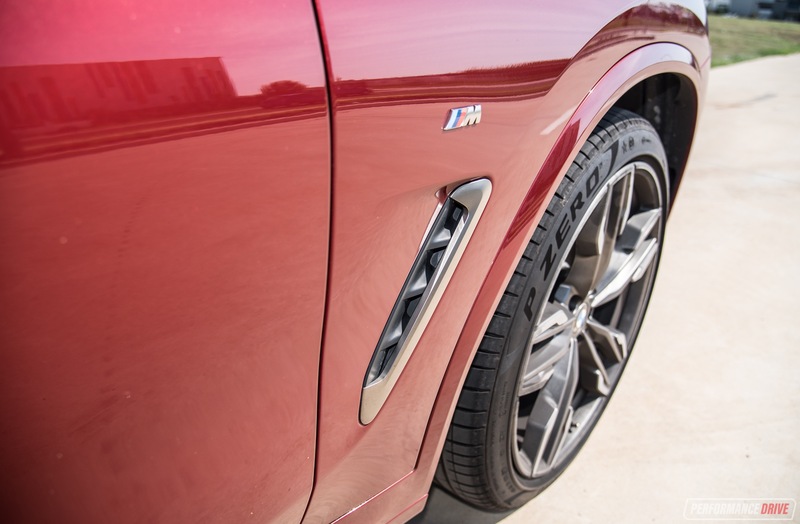 The flagship M40i variant is definitely worth stretching for as the engine is a masterpiece, and undoubtedly increases the overall appeal and driving enjoyment. 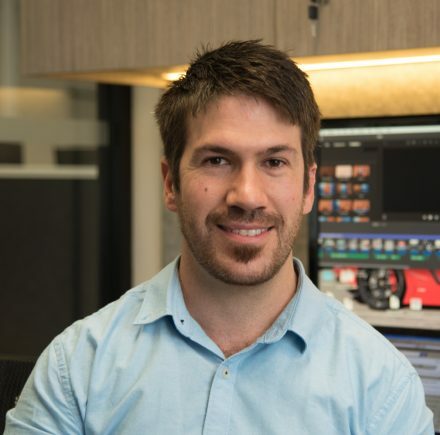 – Why is it $10,000 more than X3 M40i?